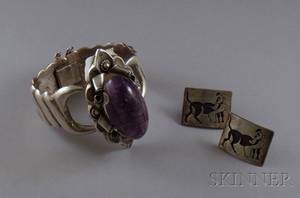 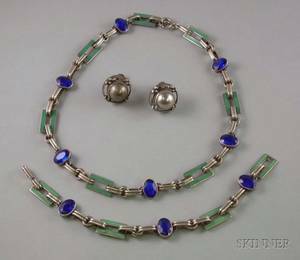 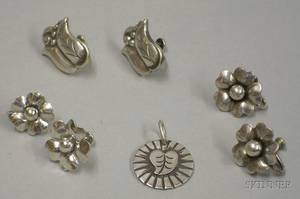 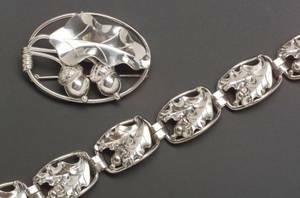 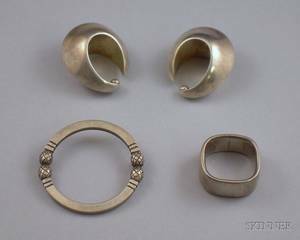 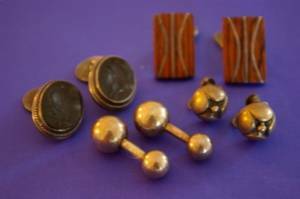 Pair of Georg Jensen, Denmark, Sterling Silver Earclips and a Sterling Silver Enamel and Paste Necklace and Bracelet Suite, the former bearing post-1945 hallmark. 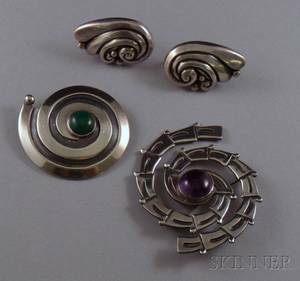 The later suite marked F&B sterling around the bezel of the blue pastes. 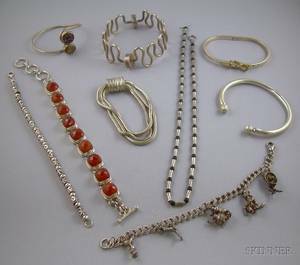 Eight Sterling Silver Bracelets and a Sterling Silver Necklace. 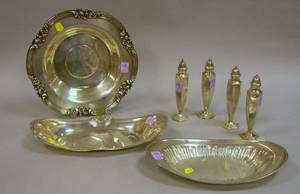 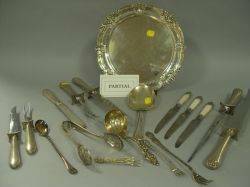 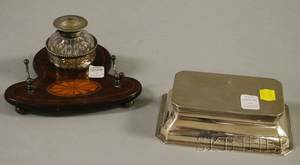 Set of Four Old Newbury Crafters Sterling Silver Casters and Two Sterling Silver Trays and a Bowl.